This was one of the biggest events of its kind – the breadth of demonstrations and discussions showed what an exciting technology area this is and the wide application of mechatronics and robotics. 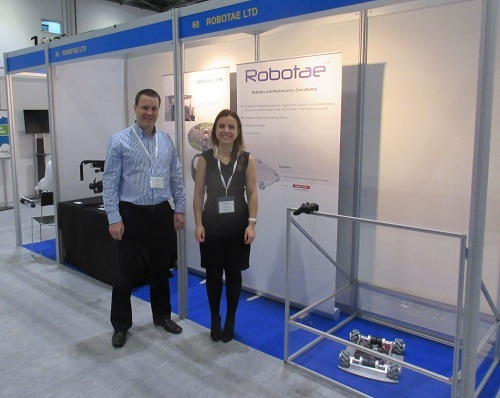 This annual conference and exhibition aims to bring the entire UK robotics community together to demonstrate and debate new innovative ideas about robotics. Ultimately, the main purpose of these ideas is to help business take advantage of the operational efficiencies and cost savings that are associated with robotic technology. The Show was launched in October 2014. It was the largest event ever assembled for the emerging commercial UAV and robotics industry. With 1500+ attendees the event was the first genuine marketplace for non-military UAVs ever. In 2015 the show had 2,350 attendees, a 48% increase.